Pretty effect: Šime Strikoman is a Croatian photographer famous for his bird point of view photos of people in meaningful formations. 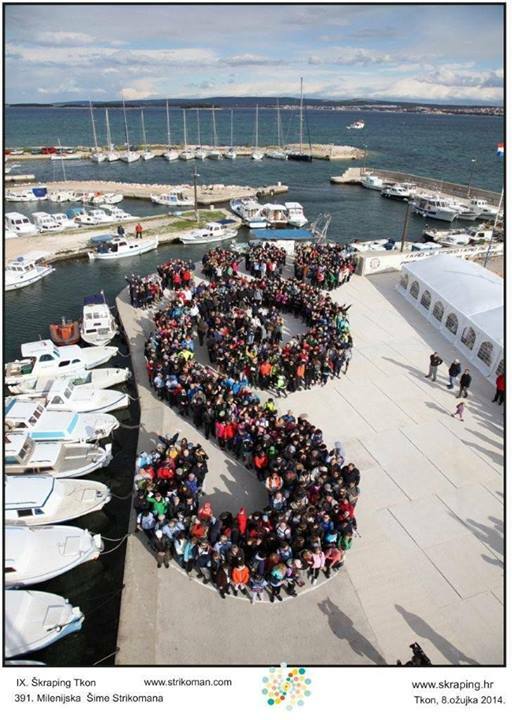 Last weekend runners were standing in a form of a logo for Škraping, an adventure run. Just to remind you, Škraping (pronounced: sh’kraping) is a unique international trekking race (i.e. adventure run) on sharp island rocks belonging to the category of extreme sports. Škraping is held on the island of Pašman in March every year. We really love this scene.